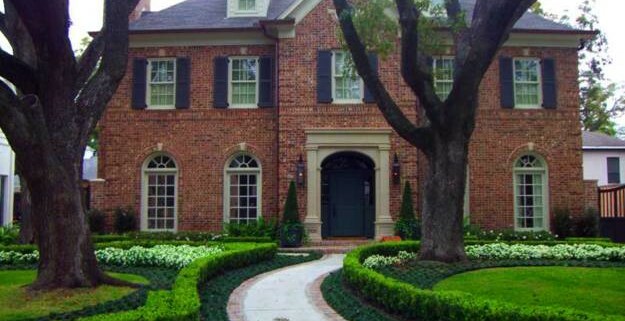 How Do The Trees In Your Yard Effect Your Plumbing? Now that spring weather has finally arrived, it is the perfect time of year for trees and shrubs to start to grow and flourish. This might enhance the curbside appeal of your home, but it can really wreak havoc to your home plumbing system. Slow drainage and a variety of other problems are often a result of overgrowing tree roots. If you want to prevent any future issues, there are a few preventative steps that you can take. Knowledge is always your best prevention tool, which means that you always need to know exactly where your sewer lines are located. This will keep you from planting any deep rooted trees or shrubs in the same area. If you can avoid planting near your sewer line, this is the most effective way to prevent roots from causing plumbing issues. If they aren’t near your sewer line, it is impossible for the roots to cause damage. When roots start to hinder your plumbing system, it is often a gradual process. This means that there are warning signs before the problem worsens and larger damage occurs. If you notice consistently clogged drains, this could be a warning sign that roots have damaged your sewer line. Don’t let warning signs go without taking action. When you notice an issue, it is best to call Knoxville Plumbing right away. It is always a good idea to have your sewer line inspected by a professional plumber each and every spring. 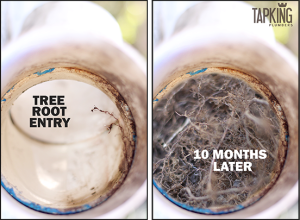 This can help to prevent root growth within your plumbing pipes. Always hire a professional for maintenance, because proper tools and techniques are required for the best results. If you want to make sure that your plumbing system is not wrecked by growing roots in your sewer line, it is best to call and schedule a maintenance appointment today with Knoxville Plumbing. We employ skilled and trained technicians with vast experience dealing with growing roots and sewer lines. If you have any questions or concerns, you should call us today and have any issues corrected immediately. http://knoxvilleplumbingllc.com/wp-content/uploads/2015/05/Knoxville-Drain-Cleaning-Tree-Roots.jpg 461 625 Knoxville Plumber http://knoxvilleplumbingllc.com/wp-content/uploads/2016/09/Website-Logo-KNoxville-Plumbing-2.png Knoxville Plumber2015-04-25 17:29:002015-05-05 17:40:02How Do The Trees In Your Yard Effect Your Plumbing? How To Get Your Water Heater Ready For Spring How to Handle a Slab Leak in Your Home?